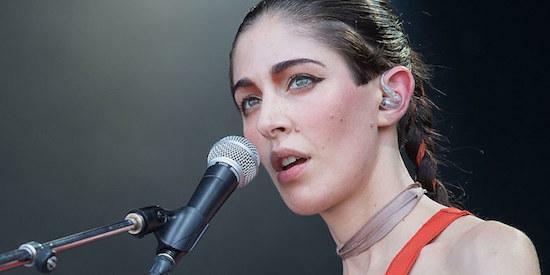 Earlier this week, Caroline Polachek, formerly of Chairlift, pulled out of performing at next year's Moogfest in response to the festival's decision to announce her as part of a line-up of 'female, transgender, and non-binary' artists. Billed to play as CEP, Polachek said in a tweet that she was "furious to be (without approval) on an all-female & non-gender-binary announcement list for @Moogfest. Gender is not a genre." She continued: "I don't need a sympathy pedestal, esp from a male curator." Responding to her tweets, the Moogfest organisers said: "We apologize for reframing you in a way that takes focus off of your artistry and talent and we regret that you will no longer be taking part in Moogfest 2018. "Today’s lineup announcement was inspired by and coincided with Always On, a celebration of voices that are traditionally underrepresented. Our intention is to showcase an initial lineup that further amplifies those voices while supporting others in a way that challenges the manner in which festival lineups are typically presented. "We believe that using our platform to center women, non-binary and transgender people is an important tool to combat the erasure and invisibility that can occur when these identities are kept on the periphery. Please know that no musician was booked for Moogfest for any reason other than their own unique artistry, and today’s announcement is just phase one of our 2018 lineup. As always, the full Moogfest artist roster will be a diverse lineup of talented performers across a wide spectrum of gender, culture and politics. "Thank you for your honest expression. Thank you for your willingness to hold us to a higher standard. Thank you for starting this conversation. "PS. Moogfest is not curated by a man, it’s curated by a diverse group of people that work together as a team. There is not a single person, nor a single man that’s in charge of curating this event." In response to that, Polachek has now issued a further statement, which you can read in full here. The first round of artists announced for next year's Moogfest centred on female, transgender and non-binary acts, including Jenny Hval, Midori Takada, LCD Soundsystem’s Gavin Rayna Russom, SOPHIE, Umfang and Kaitlyn Aurelia Smith. Many more acts are due to be announced in the coming months. The festival takes place in Durham, North Carolina from May 18-21.